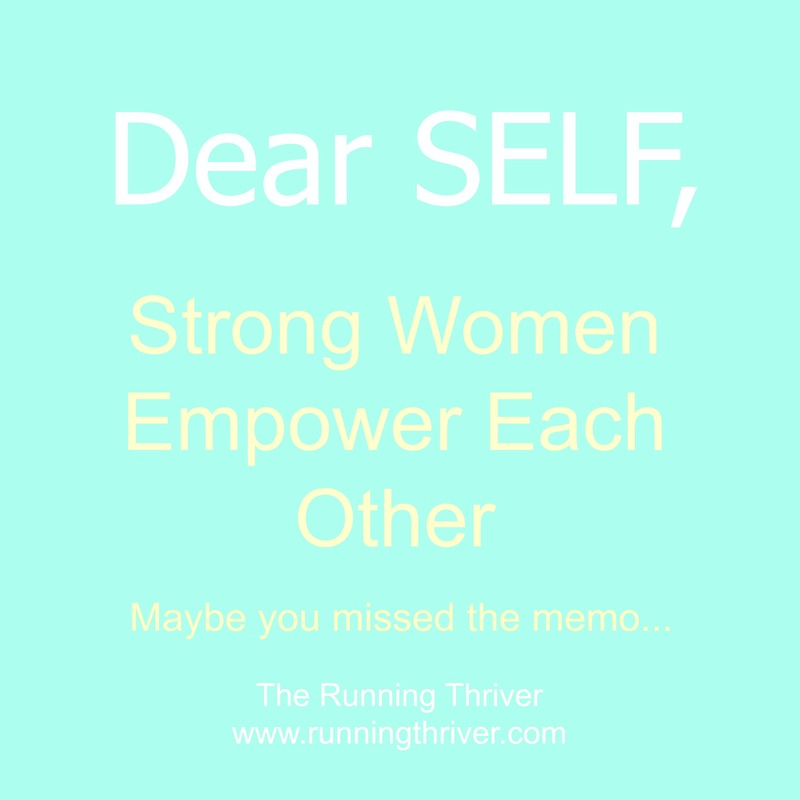 So given that you are all living and breathing (if not, we may need to talk), you have most likely heard about the recent debacle with SELF Magazine (no free linking for you SELF, you are on my sh*t list!). Just in case you missed it, SELF Magazine decided to go the route of Miley Cyrus and this chick (who shall remain nameless because what she did is not cute or “witty” in my opinion… especially the part where she insults the other runners and “rent a cop” hired to keep the race safe) and gain notoriety through the path of infamy. The difference between SELF and Miley however, is what SELF did was a lot more offensive than twerking at the VMA’s. 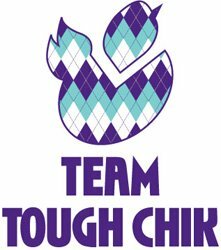 Instead of just embarrassing themselves, they attempted to take shot at a brain cancer survivor who makes tutus to raise money for Girl’s on the Run. Dude, seriously…. I mean seriously? In the process they managed to offend and let’s face it piss off a good chunk of the running community and the population in general. I mean, what kind of Supposedly-Pro-Women magazine takes shots at WOMEN? Better yet, how about taking shots at women doing something to EMPOWER themselves? Well done SELF! I admit that I am no expert in running (no pun intended) a magazine, but I am pretty sure that insulting your audience is not generally considered a great idea. Beyond that, SELF magazine makes some other fatal errors (like not noticing “Die Tumor Die” on the race bib… again seriously?) 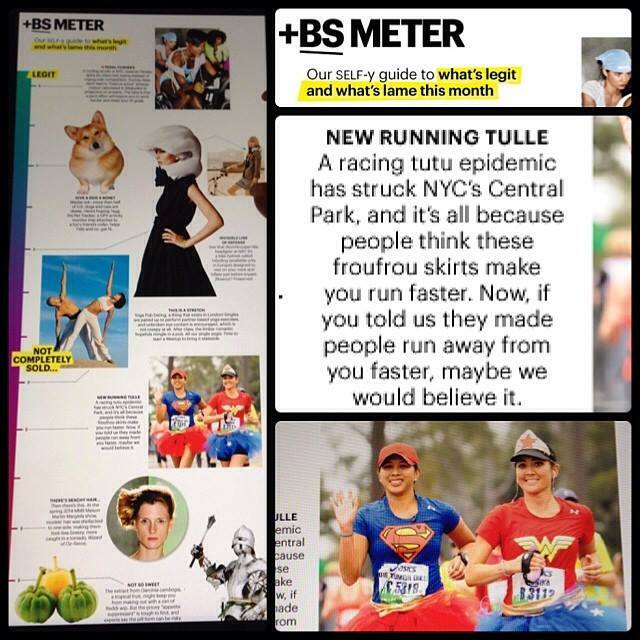 For starters, they assumed that people wear tutus to “run faster”? I just can’t keep writing “seriously”…. Clearly this magazine is not written by people who even remotely understand the running community (I realize I am stating the obvious here). You would think a women’s magazine of all places would understand the concept of fashion over function! Anyone who has ever run in a tutu can tell you it is certainly not for the purpose of going faster. Tutus are itchy and get stuck between your legs. They are not even remotely comfortable to run in. Hmmmm… so if not to run faster then why? How about running in a tutu to raise attention and money for a cause… maybe like the women that SELF attempted to humiliate? Or how about wearing a tutu to remind oneself to have fun, to gain extra support from the spectators, to distract oneself and other runners from the pain, to celebrate being feminine and strong. Holy cow! There are so many reasons someone might choose to wear one. I can’t believe “run faster” was the only one an intelligent publication (I’m assuming here) like SELF could think up. Furthermore, how about the fact that they only pictured women in tutus running, when it is a well know fact that plenty of men also will don a tutu for a good cause (and just to get a laugh is a plenty good cause in my book!) They also neglect to mention all the other crazy attire runners wear to “run faster”, including but not limited to: colorful knee socks (with or without attached capes), clothes with ruffles, body paint, an occasional speedo, and full on costumes. What I am basically trying to say here is SELF totally missed the boat. They were so quick to make a joke out of these women that they missed the powerful statement they were making that day. Instead of embracing a opportunity to inspire an encourage their readers with an amazing story of fortitude and perseverance, they completely overlooked what these women had to offer. 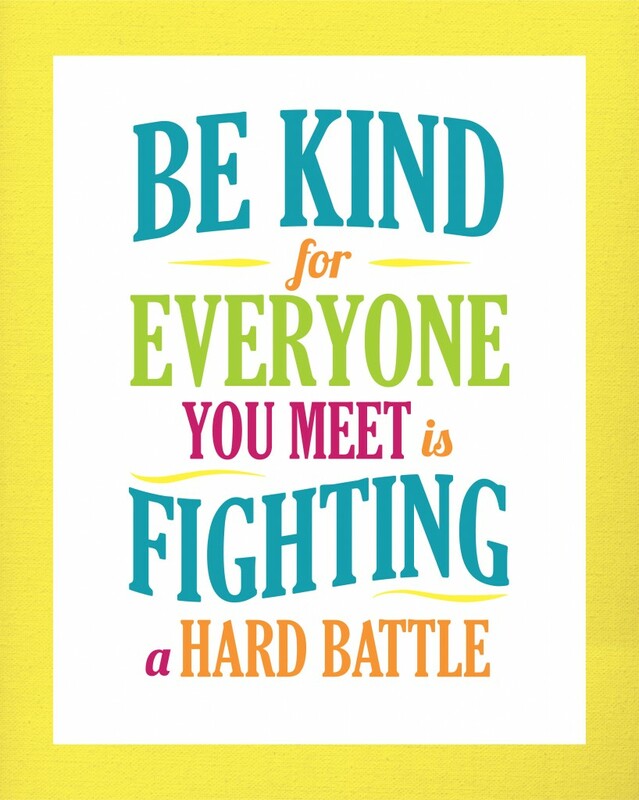 Perhaps there is a lesson we can all take home from this. Not everyone wears their scars visibly in this life. Nor do we all flaunt our best attributes. All SELF needed to do was ask these women why they choose to run in super hero costumes and they not only could have avoided this public embarrassment, but also uncovered an inspiring story of just how much a woman can overcome and accomplish (while looking completely adorable in the process). Don’t be like SELF. 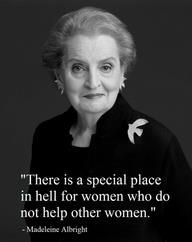 Be a woman (or man) who empowers others, not tears them down. 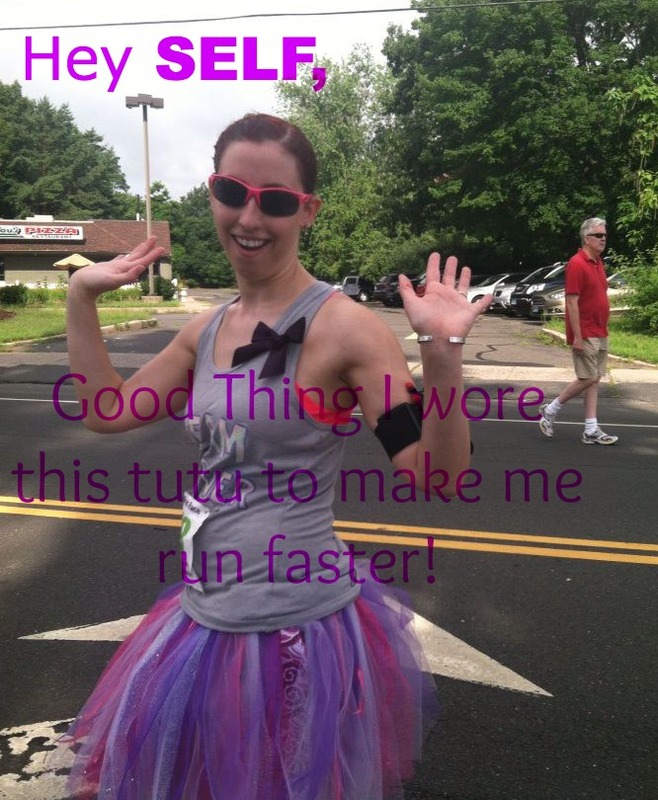 And the next time you consider purchasing a tutu, consider supporting Glam Runner. You’ll not only look fabulous, but support a great cause in the process. What a great Rant! Well Said. So discouraging that a very popular magazine would share such ignorance. I wonder if the writer of the article got in any trouble? Not only did she not look deeper into a subject she knew nothing about but the magazine let it get published..Double wammy! The only thing I can think is they did it intentionally to create a media storm. How can people detail oriented enough to become editors miss something like “Die tumor die” on a race bib and ignore details about where the photo came from? Plus, who rags on something as light hearted and fun as a tutu? No such thing as bad publicity, right?